Studio/Run Time: Focus Films, 101 mins. 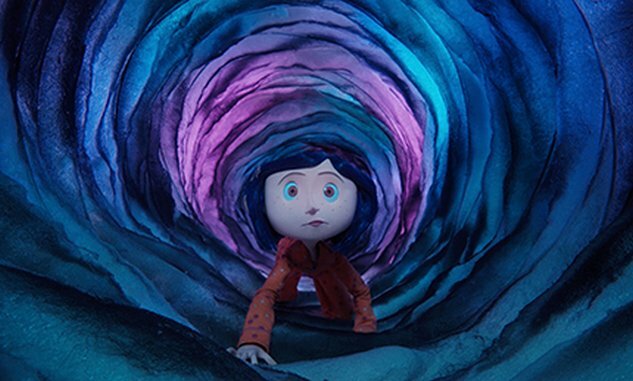 Stop Motion Animation is a misleading adjective to describe the stunning visual style of Coraline, the latest masterwork from visual auteur Henry Selick (The Nightmare Before Christmas, James and the Giant Peach) and acclaimed author Neil Gaiman (The Sandman, The Graveyard Book). While the film is the product of a technique that strings together still images of incrementally changing 3-D figures, there is absolutely nothing about it that is stationary. Selick and his team of animators have propelled the art into a kinetic experience of intoxicating wonder, where everything from melting snow to a cooking omelet moves with a fluidity previously unseen in the genre.